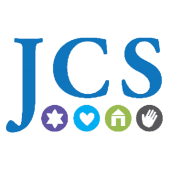 Jewish Collaborative Services of Rhode Island (JCSRI) offers senior care, counseling, adoption services, meal and emergency assistance, to individuals and families in Rhode Island and nearby Massachusetts communities. Although our service is based on core Jewish values of respect, family, community, healing, and humanity, we serve all in need regardless of religious affiliation. Would you recommend Partners in Care - JCSRI?